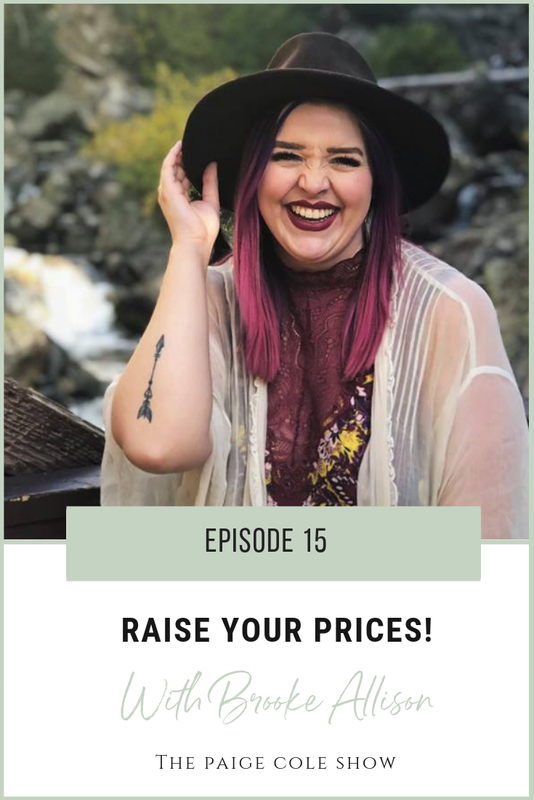 Brooke Allison: Raising Your Prices! In today’s episode I had the privilege of interviewing Brooke Allison. Brooke is a Mind Shift Coach and Achievement Strategist, she helps badass women up level their confidence, find clarity, and define their purpose so they can create a business and a mindset that is fiercely unstoppable! She helps her clients design a purpose filled business, master their confidence, raise their prices, and truly mixes mindset and strategy to get massive results! Brooke believes that confidence is the key to everything you want in your life! With clarity, confidence, and strategy you become unstoppable towards your deepest desires! Her mission is to empower entrepreneurs to step into their most powerful selves and live out their soul desires with a business and a life they are obsessed with. She is also the founder of Brooke Allison Coaching and the podcast, Fiercely Unstoppable, which is all about helping entrepreneurs become fiercely unstoppable in the pursuit of what sets our soul on fire through confidence, clarity, and strategy!